Fiordland has some awesome kayaking close to Te Anau and Manapouri, for independent kayakers, and beginners wanting a guided experience. If you are an experienced kayaker with your own gear you can kayak on Lake Te Anau and Manapouri Lake, but it is stil advisable to travel in groups of three or more in case of emergencies; these are big lakes that can get very rough and dangerous, and the winds can be unpredictable. 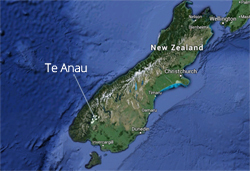 Experienced kayakers can kayak into Manapouri Lake from the Upper Waiau River. There is car access to the river at Queen's Reach, a turning off the Manapouri Highway south of Te Anau. You can also kayak on Lake Monowai further south than Manapouri Lake. For white water enthusiasts, there is the legendary Hollyford River, accessible from the Milford Road, which includes sections that are grade V+. In other words, extremely challenging but if you don't know what it means, you shouldn't be on the water. An easier river is the Kiwi Burn in the Mavora Lakes region, which is a grade 2 and 3. A slalom course has also been erected on the Lower Waiau, south of Manapouri. For more information contact the Southland Canoe Club. This club also organises an annual "Paddles Up" kayaking competition and get together at Mavora Lakes. Go to the Department of Conservation website for more route advice for independent kayakers. 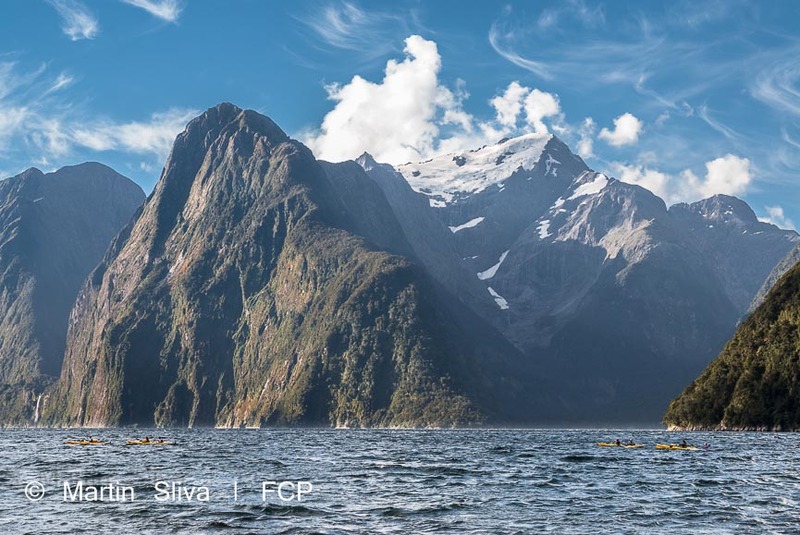 There are several companies offering guided kayaking in Fiordland's fiords (Milford Sound, Doubtful Sound, Dusky Sound and Preservation Inlet) and on Lake Manapouri. See our lakes page for a warning about the dangers of cold and rough water in our lakes if you are kayaking. All kayakers planning to visit the Fiordland marine area have a role to play in keeping Fiordland as beautiful below water as it is above. 1. Keeping your kayak and marine equipment clean and free of fouling. 3. Cleaning and air-drying your kayak and equipment to be used in Fiordland waters e.g. ropes, fishing gear. Freshwater pests can spread by a single drop of water or weed fragment. With your help, we can stop freshwater pests like didymo and lagarosiphon from spreading and keep our waterways pest free. All you need to do is Check, Clean, Dry everything that been in contact with the water when you move between waterways. Some requirements are in place for specific recreational activities - check the DOC website for more information on Clean Gear Certificates and other requirements. Rosco's Milford Kayaks is the longest serving owner-operated sea kayaking business in New Zealand. With a wealth of experience it offers visitors to Milford new and exciting sea kayaking adventures. Its small team of professional local guides will give you ongoing paddle tips while you're on the water and share their extensive knowledge of the region with you along the way. Group sizes are small; this allows visitors to get to know our guides more easily and learn a lot more from the experience. Go to Rosco's website.